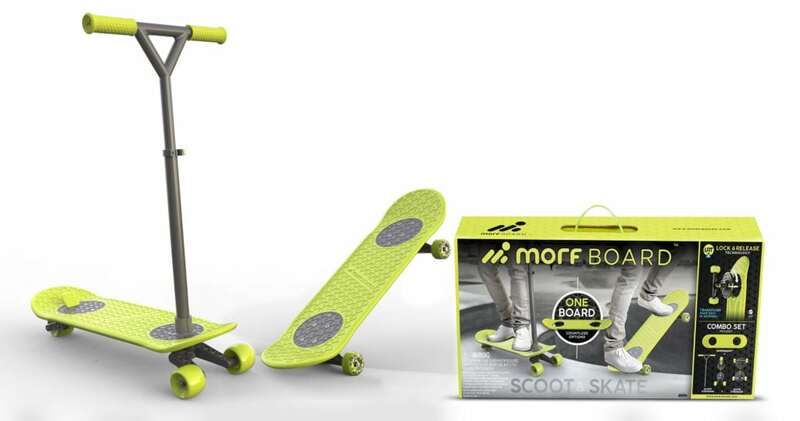 Get ready for some awesome outdoor fun with the MorfBoard. This high-performance deck and component system transforms in seconds and creates an entirely new play experience. The MorfBoard™ ecosystem encompasses super simple Lock & Release Technology (LRT™): simply drop Xtensions into the board and turn them 90-degrees. The flex trigger locks in so kids are ready to skate, ride, balance, or bounce.